The Sourozh Diocese (combining parishes of the Russian Church in Great Britain and Ireland) is seeking to resolve the issue with a closed chapel-museum dedicated to the family of Nicholas II in Oxford. It was built by Archimandrite Nicholas (Gibbes), the teacher of the children of the last Russian emperor. “Presently our parish of St. Nicholas in Oxford is laboring to find a permanent place of habitation for the sacred items left behind by Archimandrite Nicholas (Gibbes), and we hope this work will be crowned with success,” stated Archbishop Elisey of Sourozh in an interview Friday with Interfax-Religion. According to him, after the death in the early 1990s of the adopted son of Archimandrite Nicholas, George Gibbes, the chapel was closed. Then for some time it was set up in the “Luton Hoo” estate in Hertfordshire County, but financial difficulties led to the space’s closing. Archimandrite Nicholas (in the world Charles Sydney Gibbes) was the English teacher for the children of Nicholas II, particularly of the Tsarevich Alexei. With ten years of service in the Russian imperial court he became a confidant of the royal family, even following them into exile in Siberia. In 1934 he accepted Orthodoxy with the name Alexei (in honor of the Tsarevich Alexei), and in the next year monasticism with the name Nicholas (in honor of Nicholas II). He founded a parish in London and then in Oxford. He remained faithful his whole life to the memory of the royal family and managed to save many of their relics. In 1945 Fr. 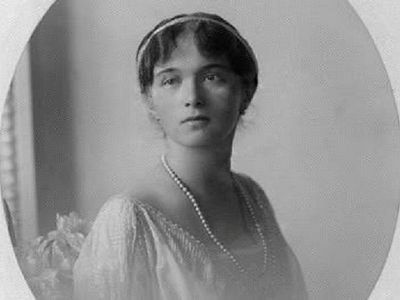 Nicholas bought three cottages in Oxford, keeping the items in one of them, including an icon which Tsarina Alexandra Fedorovna entrusted to him in Tobolsk, including a dedicatory inscription, a pair of the emperor’s high boots, his handkerchief, and a bell and pencil case belonging to the Tsarevich Alexei. In 1946 he founded a museum in memory of the royal family in one of the three cottages. 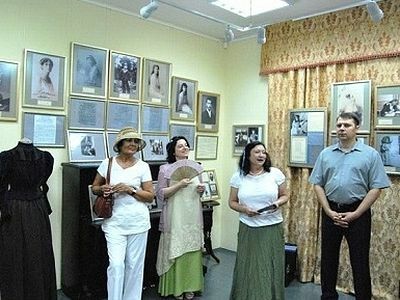 The large part of the items preserved there were taken from them at Ipatiev House, where Nicholas II’s family was shot, and transferred to Beijing. The priest took them with him everywhere from that time. As reported, Patriarch Kirill of Moscow and All Russia will visit London October 15-18 for the 300 year anniversary of the presence of Russian Orthodoxy in the British Isles. 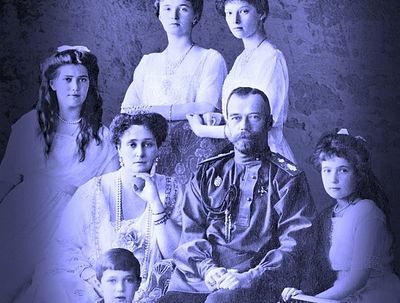 Totally, the digital collection on the Presidential Library website featuring the Romanov dynasty includes more than 900 items. It brings together digitized official documents, memoirs, diaries, business and personal correspondence, newsreels, photos, paintings, audio recordings of broadcasts, popular science films, historical researches, bibliographies, and other historical documents.